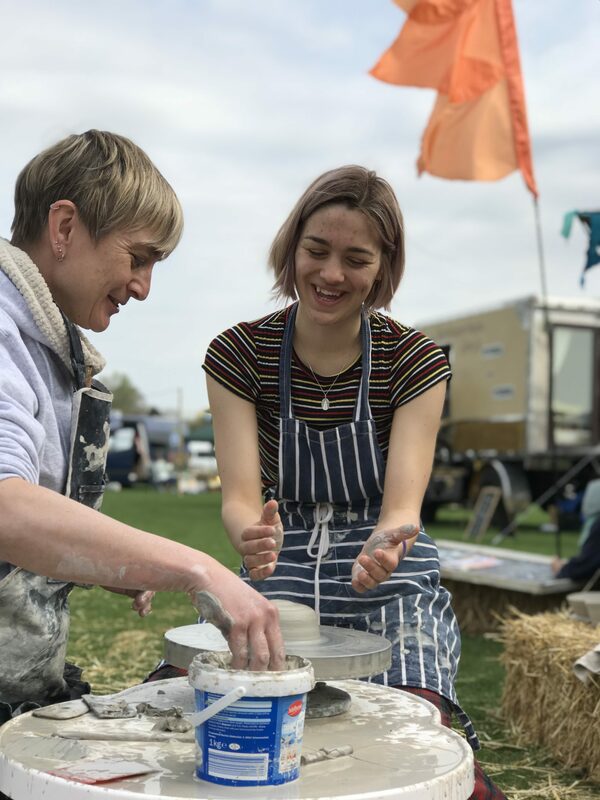 Put simply Camp Quirky is 200+ self converted vans in a field, hundreds of amazing people, glorious sunshine, a host of workshops, live music and a lot of tasty food. 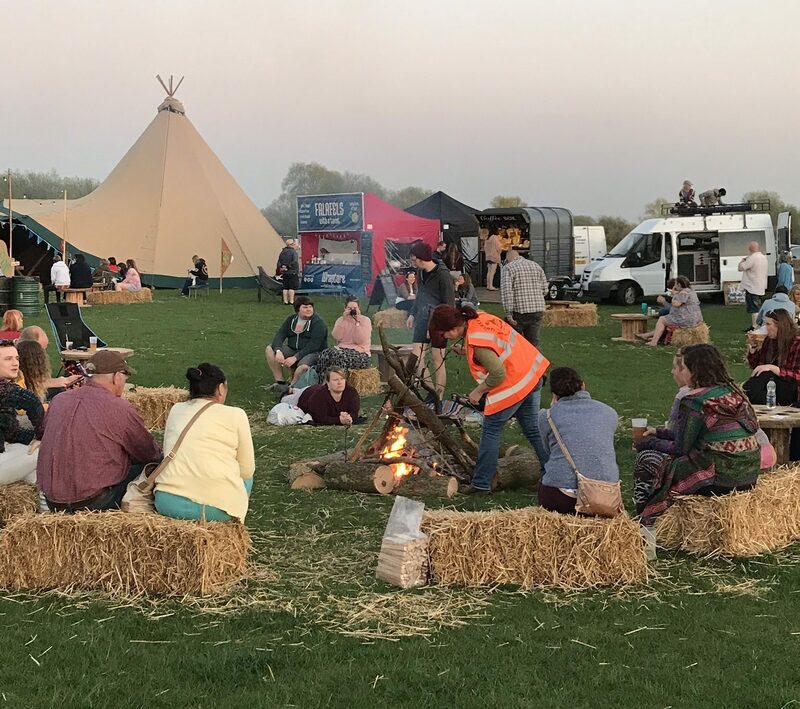 These are the key ingredients to make the UK’s No.1 Campervan Festival and we had the privilege to spend all weekend at this heart warming event to give you this full review! You don’t have to be Quirky…but it definitely helps! 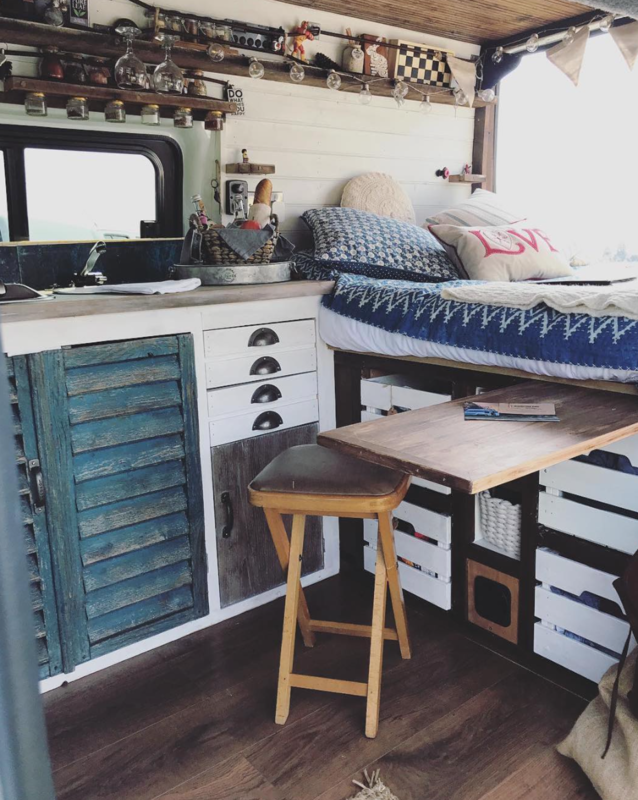 Camp Quirky is the brainchild of Lindsay and David from Quirky Campers, and it celebrates everything that we love about vanlife; the community, the freedom, and our insatiable need to look into tiny homes. For those of you that haven’t heard about Quirky Campers, they rent out lovingly built campervans that have been converted by real people using their own two hands. Think of it as an Airbnb for camper vans, and Camp Quirky is a chance for punters and vanlifers alike to come and check them all out first hand. Not only that, it’s also a chance to hang out with your favourite vanlifers from across the web, and a meet up place for everyone who likes the simple life. Like what you’ve read so far? Then let’s delve into the official Van Clan review of this years Camp Quirky! 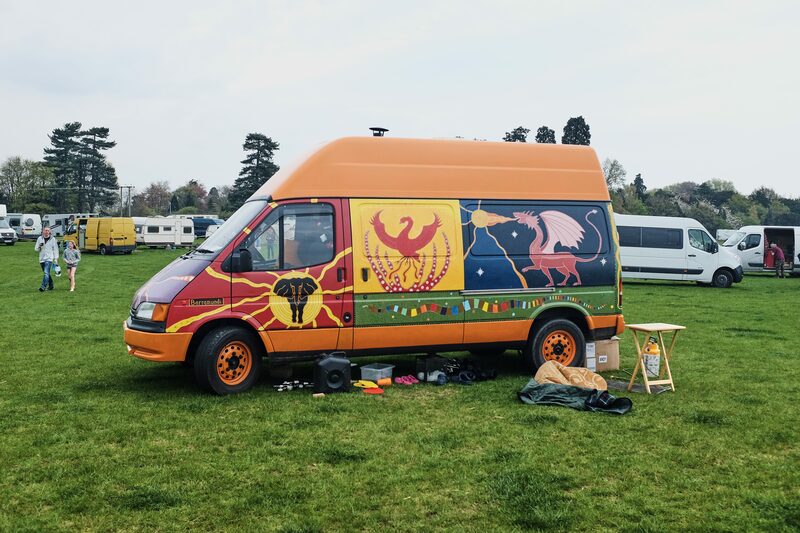 ‘Welcome to Camp Quirky’ were the first words that we heard as we pulled up at the side of the entry gate to this incredible hand crafted vanlifer meetup. The sun was shining, the birds were tweeting, and we already felt incredibly welcome. We were shown to a plot in the main arena and opened up our van to the world. It’s safe to say that we didn’t know where to look first. If you’ve ever had that urge to look in someones window as you walk past their house then you’ll know how we felt all weekend, but the great thing is that all of the vans are all open and their owners are more than welcome to show you around. The first thing that hit us was how friendly everyone was, and it’s not as if the campers at Camp Quirky had left their anger and their troubles at the front gate, they just didn’t have any to begin with! 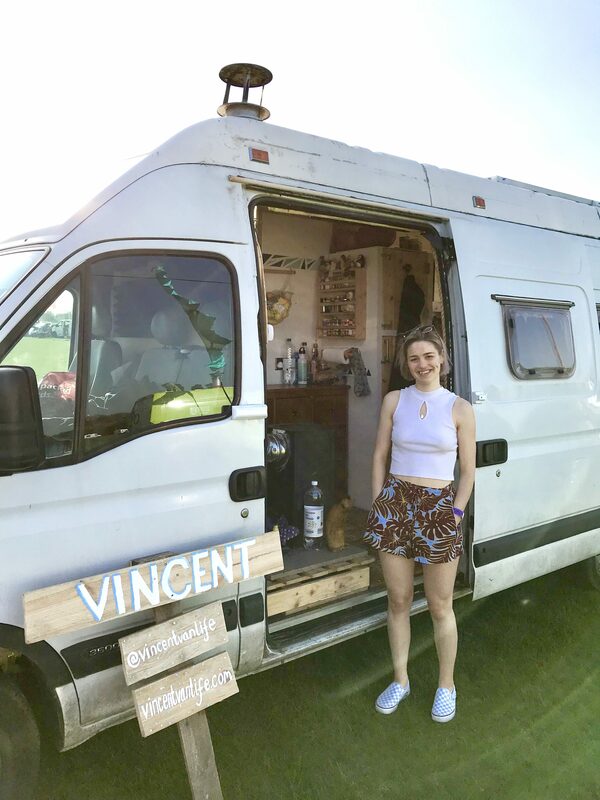 We spoke to hundreds of people that came to look at Vincent (our own self converted van) over the course of the weekend, and made tonnes of new friends along the way. They were the nicest bunch that we’ve ever met at a festival, and the fact that everyone is there for the same reasons and shares the same passions creates a harmony that couldn’t even be beaten by the morning meditation sessions. Wanda, one of the Quirky Camper’s vans. 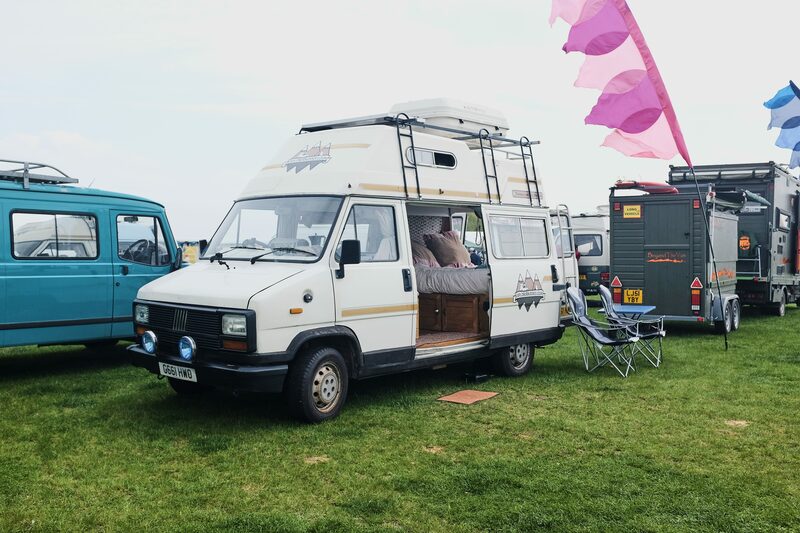 Camp Quirky 2018 had some of the best self converted campervans that we have ever seen, and that’s no exaggeration. From Sprinters to Overlanders, the vans that were on display throughout the weekend were all phenomenal. We’ve included pictures of some of the tiny homes that we saw on our travels below, and if you look through them you’ll see that no one conversion is the same. 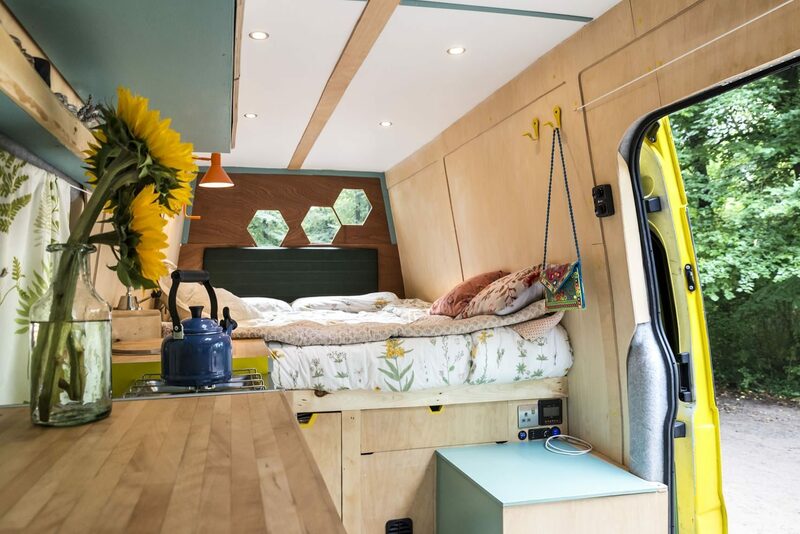 From Alice in Wonderland themed vans through to Honeycomb inspired country cottage builds, Quirky Campers host a whole range of vans for all tastes. 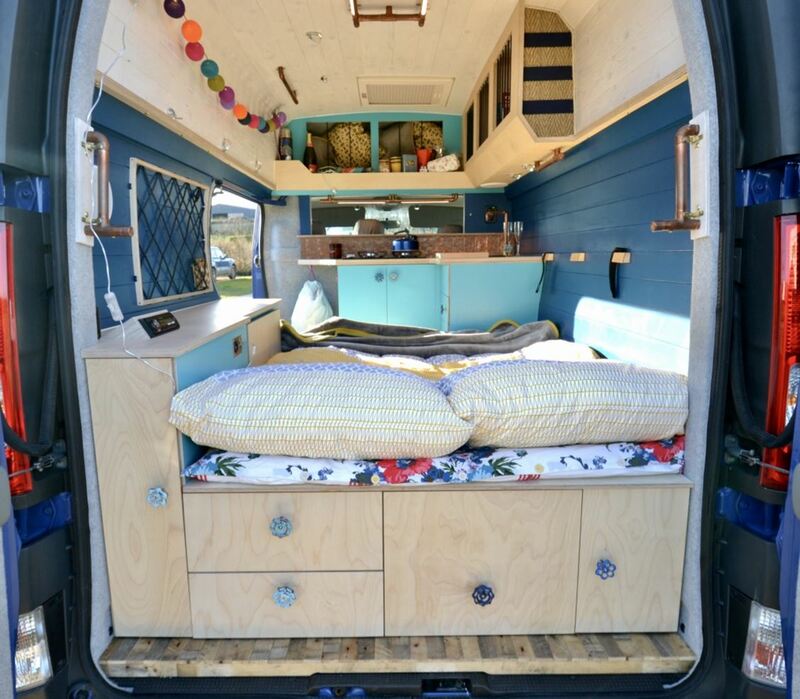 The people that have made these vans aren’t trying to hide what they are-there’s no chance of hiding when you’re in a van that has an exterior paint job like an enchanted forest-they’re proud their self conversions, and we can totally see why. The Honey Bee, another great van in the Quirky Camper’s fleet. We saw beds that moved up and down via switches, we saw full ovens, log burners of every shape and size, and more swivelling seats than you could shake a stick at, and we got to check all of them out first hand. 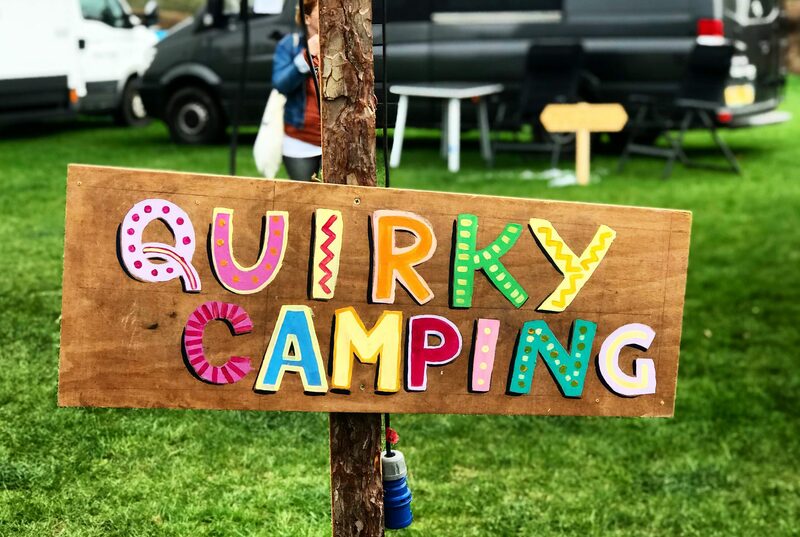 That’s what sets Camp Quirky apart from other festivals; the camper that you fall in love with could be the one you take on your next holiday to the lakes or into the mountains. Lindsay and David are almost giving you a ‘try before you buy’ experience, and you get to talk to the owners first hand and learn how they built the vans in the process. We were drawn to the vans with amazing paint jobs. This one blew our mind! You know we love a terrific trailer here at Van Clan, so when we saw this little beauty we had to take a snap of it. This one has pizza under the stars written all over it. 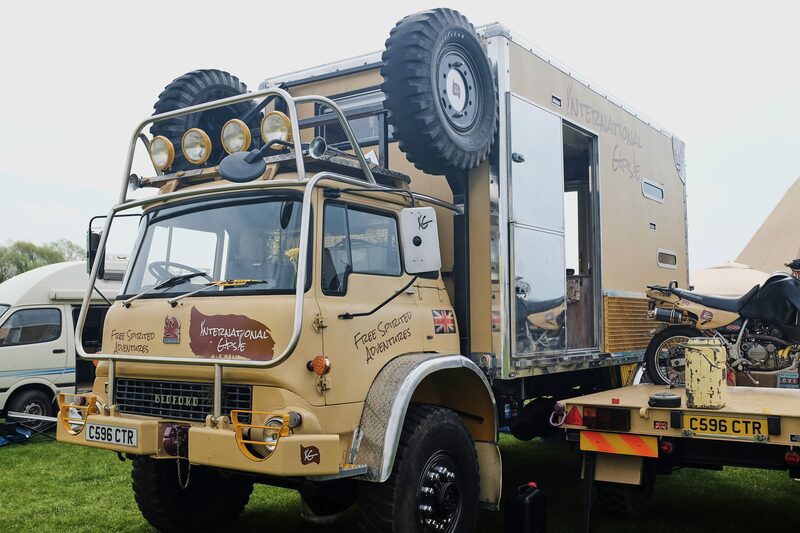 But it’s not just the Quirky Campers that caught our eye. We met an artist who replicated the pattern on a heavy floor tile and painted it onto 69 separate small pieces of plywood for the floor of his van. 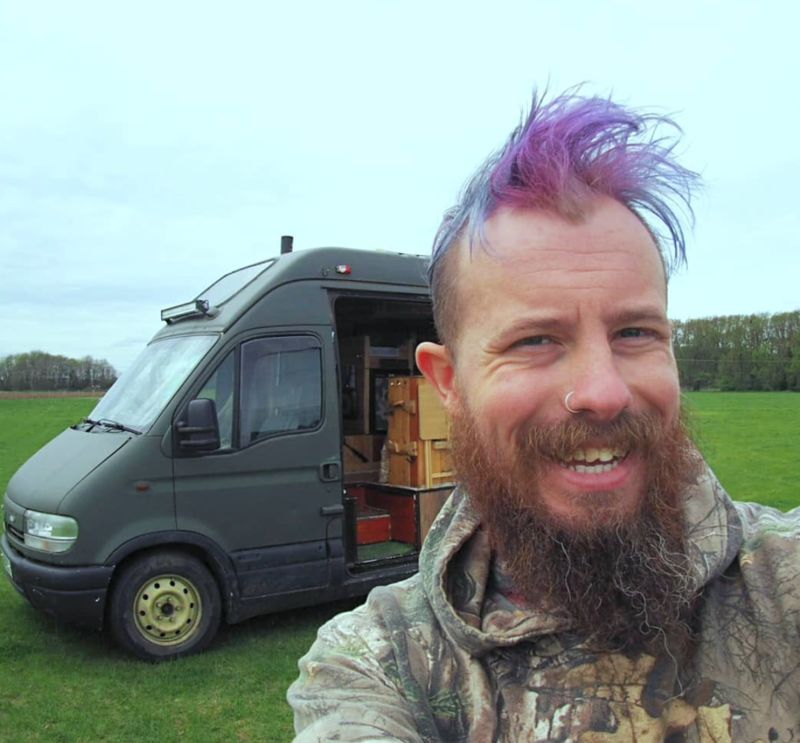 We also visited vans from well known YouTubers such as Houseless not Homeless, as well as checking out the Indie Projects new van and catching up with how they’ve been finding their build so far. We spoke to people at Camp Quirky who were so excited to be meeting their Internet Idols, and people who just wanted to get some tips for their own build. Either way, the general consensus was that everyone was going to be going home extremely happy, if not incredibly tired and hungover, come Sunday evening. We opened up our own van, Vincent, for the weekend. Even our house penguin Maurice was in good spirits. Rose trying our her skills at the Pottery Workshop, one of many extra events at Camp Quirky. 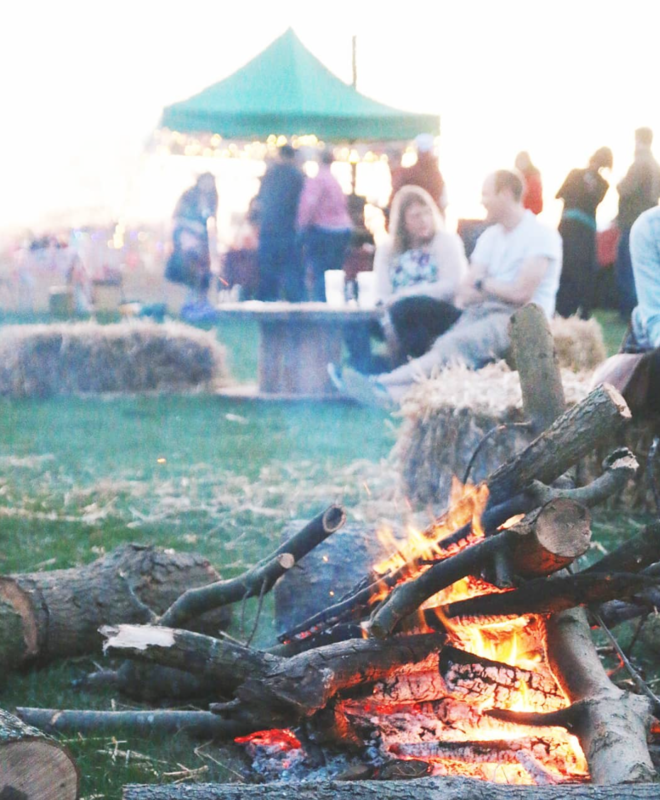 One of the many great things about Camp Quirky is that it’s such good value for money. Tickets are £60 for three days camping, and the amount of knowledge and entertainment that you get for your money is unreal. 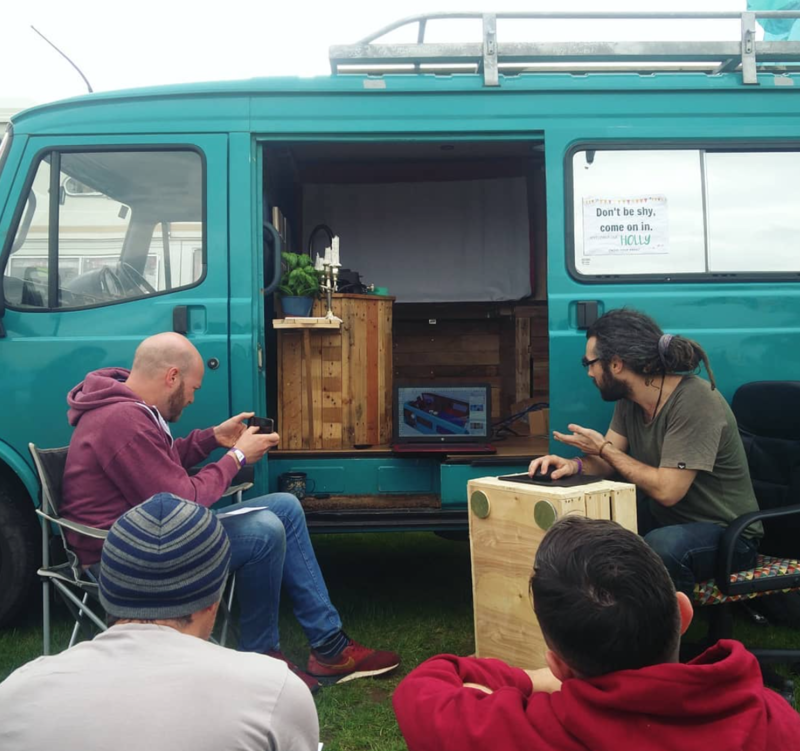 Take the talks for example; we went to a talk about long term van living with The Indie Projects and The Rolling Home, and it was nice to find out their experiences from being in different countries and to learn about a few tricks they’ve picked up along the way. We also took part in a graphic design workshop from an architect that lives in his van full time, as well as sitting in on talks about how to build a camper van, 12v electrics and many more useful topics if you’re a self build fanatic. Rose spent Saturday morning in a pottery workshop (because why wouldn’t you), and we also checked out morning meditation, spoon and felt making. I know what you’re thinking, we’re wild right? We’ll if the workshops blew your mind then the Live Music in the evenings definitely would have left you lost for words. From melodic folk through to Afro-Latino electronic music, the Camp Quirky Teepee had us throwing shapes like there was no tomorrow. Theo & Bee brought their brand new van to this years Camp Quirky, and gave a score of happy fans the chance to meet them in person. Photo by The Indie Projects. If you’re a vanlife YouTuber then what better place to get content than at a festival with tonnes of vans and a captive audience. It’s great for exposure if you’re new on the scene, but it’s also a chance to connect with your fans, learn a little bit more about the people that support you, and pass on knowledge about tips and tricks you’ve picked up during your own build. As long as you look out for low flying camera drones then you’ll be fine! Houseless not Homeless was very much at home at this years Camp Quirky. 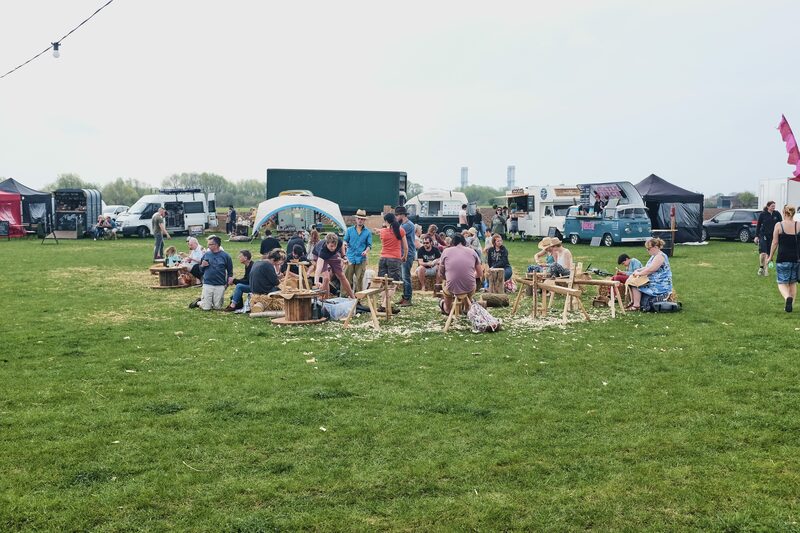 Some of you might have seen our Facebook and Instagram live videos that we took whilst at the festival, and you’ll see how friendly and approachable everyone is. They let us capture their vans as they look in real life, and weren’t at all shy about showing us around their homes. 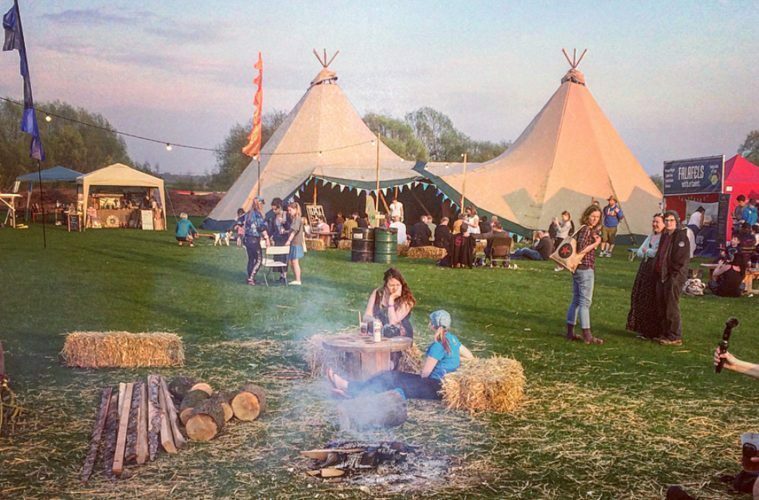 Camp Quirky has all of the potential to become as big as Glastonbury, but that’s not on the agenda quite just yet. 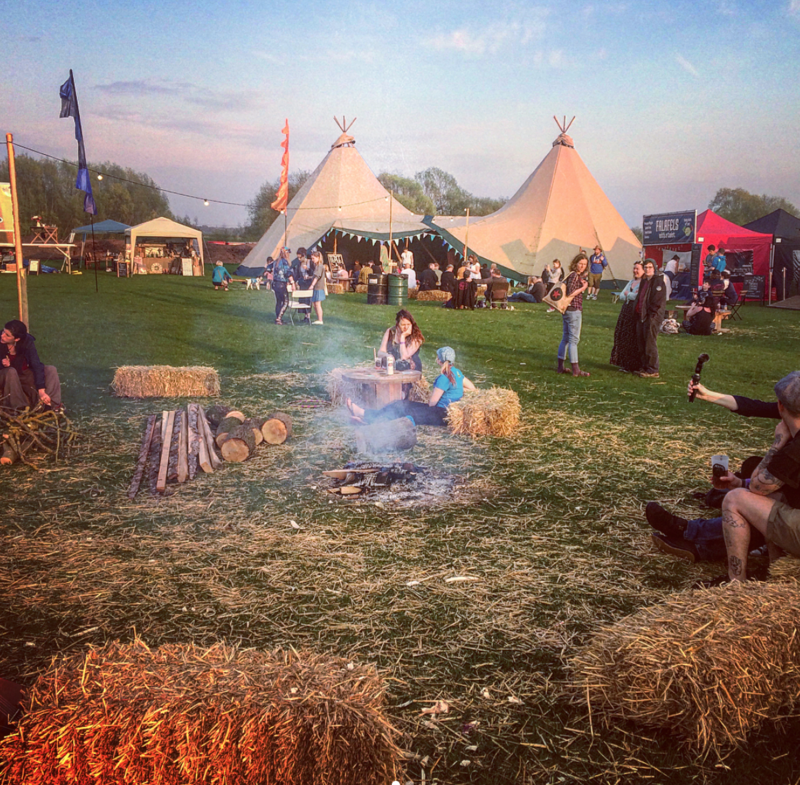 The team at Quirky Campers are all about making a fun festival that you can really sink your teeth into without having to walk 90 minutes to get from one side to the other. But more and more vans will be built by quirky owners, and the festival will naturally start to grow year on year. If anything, that makes us even more excited. 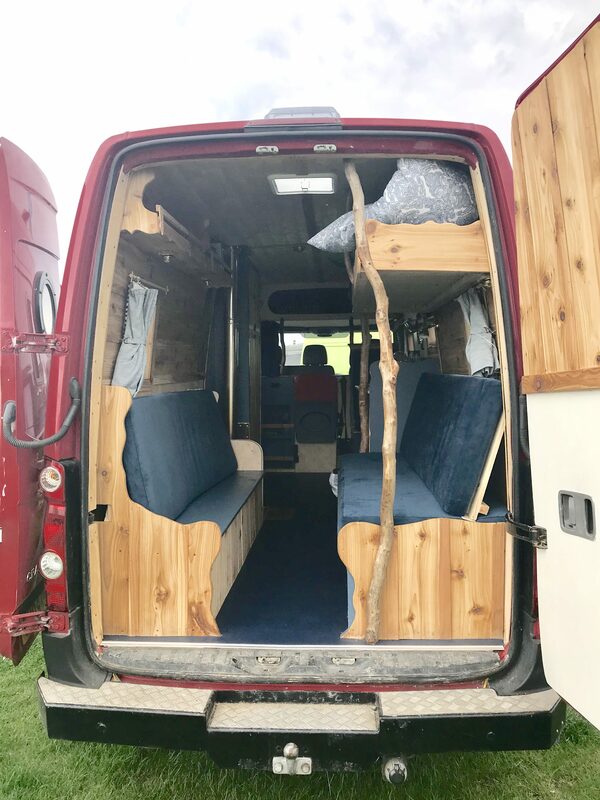 The vans that we saw at Camp Quirky were something else entirely, and the best bit is that if you had a line up of owners and vans, I think that you’d be able to match them together pretty easily. You put so much of your soul into a self converted van that it picks up some of your traits, your little quirks and interests, and that’s what Camp Quirky is all about – celebrating vanlife, celebrating the hard work that’s gone into some amazing builds, and celebrating sunny weather in a field with a bunch of friends that you haven’t even met yet. 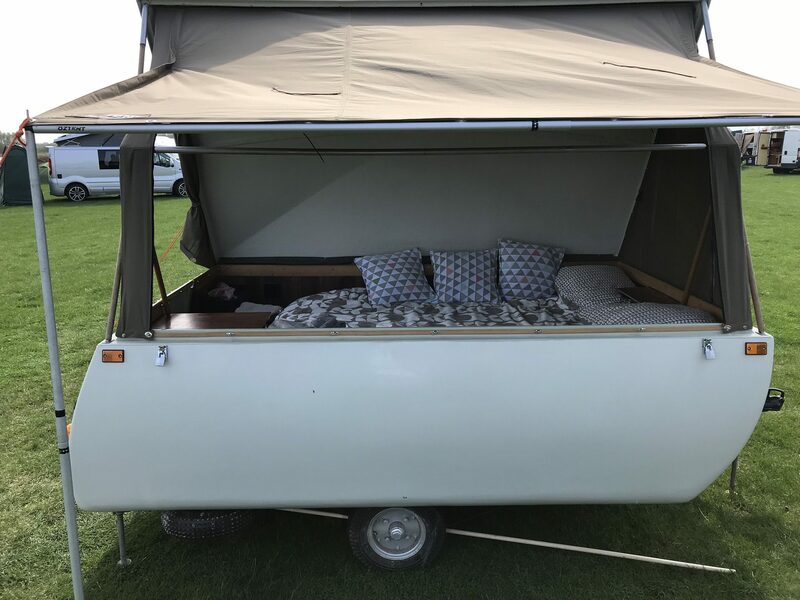 Roll on Camp Quirky 2019!